You know your latest operating system is a real dog when you're forced by your customers to give them an option to use the previous version. Microsoft has reportedly begun offering a downgrade option to PC makers who want to allow their customers to have the option of using XP over the pre-installed Vista software. It's no secret many users have complained that Vista is slower than XP but now users are reporting an unusual "feature" of Microsoft's new Vista version of Windows: apparently when you play music on your computer, your Internet/network performance is severely degraded! After suffering embarrassing security exploits over the past several years, Microsoft Corp. is trying a new tactic: inviting some of the world's best-known computer experts to try to poke holes in Vista, the next generation of its Windows operating system. I'm not sure this means much, considering Microsoft has already issued several security patches to vista over the last six months, and it's still probably a year or more away from release. Chances are it'll take the hacker community about six seconds to divulge vulnerabilities. Our guess here at BSAlert is that Microsoft is asking the tech community at large to help it solve it's own security problems. Microsoft Corp., the world's biggest software maker, will spend $120 million a year on an advertising campaign to fight its image as "a huge American company." What size would you consider a company that employs 63,000 and whose CEO is the richest human on the planet? In a related story, I will be spending no money to fight my image of being small. Although I won't stoop so low as to not suggest you people patronize the advertisers here so I can buy a pack of gum. Renown computer programmer and hacker, Steve Gibson has been analyzing the latest vulnerability for the Windows operating systems and has discovered that what appears to be a "bug" may actually be a secret back-door that someone at Microsoft built into all versions of Windows (for possibly more than a decade) that circumvents almost all known security and antivirus systems. Of course, now that the secret back door is public, it's being called a bug, but Gibson explains this is not the case, and it blows the lid off of the Pandora's Box on Microsoft operating systems, security and privacy. On New Years Eve, MSN Spaces took down the popular blog written by Zhao Jing, aka Michael Anti. This site was critical of the Chinese communist government and in not wanting to upset Microsoft's delicate business contracts with China, Microsoft took it upon itself to shut down anti-communist blogs on its MSN service, even though the Chinese government itself wasn't censoring these blogs. Nice job Microsoft. Don't let any of that "freedom talk" get in the way of making some money. 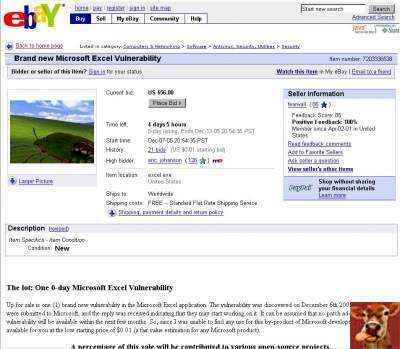 In an amusing jab at Microsoft and their lackluster ability to promptly identify and fix vulnerabilities in their software, an IT guy has placed up for auction on eBay "One 0-day Microsoft Excel Vulnerability". Interestingly enough, eBay had the auction pulled, meanwhile they let several other auctions run where people misled others by selling an empty XBox360 carton. Microsoft has enlisted some outside help for one of the most anticipated new features of its updated web browser: the ability to alert people that they may be about to enter a fraudulent website. It was announced today that Microsoft has retained the services of anti-fraud expert, LARRY ODOGWU of the Nigerian National Petroleum and Computer Security Corporation. At first, the next generation of Microsoft's new operating system was going to be called "Longhorn." What? That didn't make sense; didn't sound very high tech either. Has Bill been doing too much line dancing or what? Then they announced the new name would be "Vista" -- ahh a breath of fresh air perhaps? But apparently the boys in Redmond, in an effort to name their new, advanced OS, didn't notice there was another company in their same home town in the computer business for five years named "Vista." As a result, may I humbly suggest to Microsoft that you name your new OS: Microsoft Debacle™. It would really cover all the bases if you think about it. "Methods and devices for creating and transferring custom emoticons allow a user to adopt an arbitrary image as an emoticon, which can then be represented by a character sequence in real-time communication." So does this mean if I type : ) and have it display I've violated their patent? Hey Microsoft, how about this emoticon: ! As a poignant symbol of the priority of liberty in the world of capitalism, Microsoft's new Chinese internet portal has banned the words "democracy" and "freedom" from parts of its website in an apparent effort to avoid offending Beijing's political censors. While most of the Internet is using Unix-based DNS servers to handle hostname resolution, some companies and ISPs using Windows servers have been hit with a nasty attack that redirects .com addresses to special web sites that look for users running Internet Explorer and loads their systems with spyware and other malicious programs. Reason # 34,987,343 why you should be using Firefox and stay away from ISPs who are foolish enough to be running Microsoft servers for stuff like DNS. Microsoft has agreed to pay Burst.com $60M in a settlement over Burst's claim that Microsoft entered into an agreement to learn about Burst's technology, cut them loose, then built the technology into their own media player, in defience of Burst's 37 patents. To add further irony, Microsoft failed to produce subpoena'd e-mail correspondence relevant to the case claiming the information was erased from all workstations, servers and backup files. Yea right. Many Microsoft Windows users who downloaded the recently released AntiSpyware program from Microsoft, or had it installed through an automatic Windows update, woke up to a surprise. Unintentionally, the heuristics of the software detected Internet Explorer as spyware, and removed the program from their systems. We got snookered by this one too... In the Too-weird-to-be-fake category comes the republishing of some pictures in "1983" where young programmer, Bill Gates supposedly posed for Teen Beat magazine. 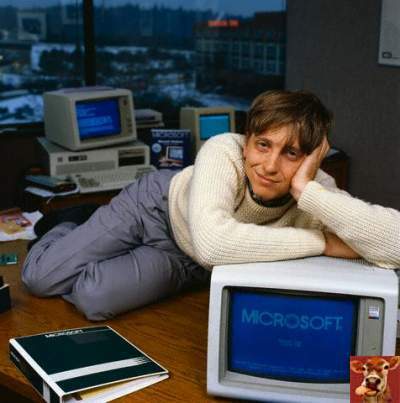 In reality, this is a promo shot in 1985 taken to coincide with the release of Windows 1.0. CERT writes, "Microsoft Windows contains multiple vulnerabilities in the way that it handles cursor and icon files. 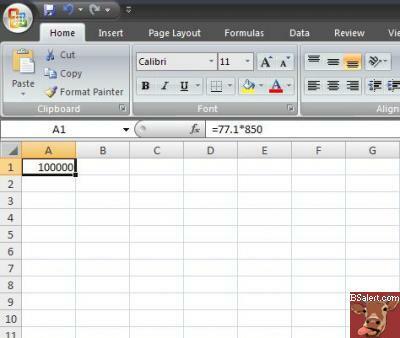 A remote attacker could execute arbitrary code or cause a denial-of-service condition." In other words, yet more vulnerabilities in core Widnows routines which make IE and other systems vulnerable to exploitation by visiting web sites which load these files. Be especially wary now of the favicon.ico files which most web sites load which give you those cute little icons next to the web address in your browser.. they can cause your computer to be compromised.